As we all know, Hogwarts is an enormous place, full of all sorts of tricks and hidden surprises. We are introduced to so many throughout the books, whether they play a crucial role in the plot or are just mentioned in passing. In fact, we are introduced to so many that it’s likely we’ve forgotten a few since we last read about them. But don’t worry, because Pottermore have recently released an article discussing all of the different secrets hidden around the Hogwarts castle to refresh your memory! The article begins with Gregory the Smarmy’s secret passageway, which is one that is only mentioned in passing in Philosopher’s Stone when Fred and George Weasley have to rush off to investigate a new passage out of the school that Lee Jordan thinks he’s found. Another from Philosopher's Stone is one used by Harry and Ron as an escape route from Filch. 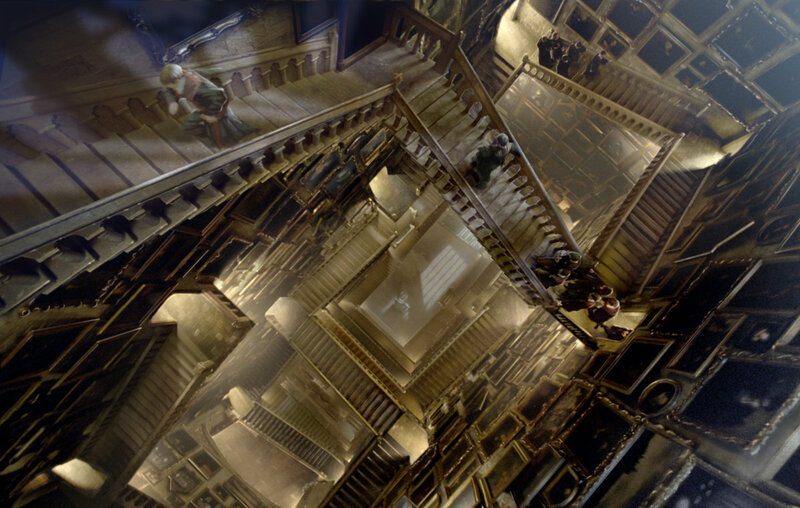 Harry and Ron inadvertently stumble upon this passageway behind a tapestry near the trophy room, and find that it leads them to the Charms classroom. 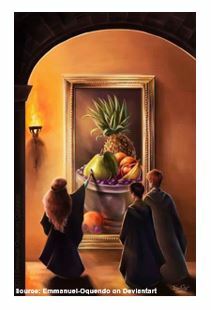 A slightly more well-known secret of Hogwarts is the kitchens, which can be entered by tickling a pear shown in a painting of a giant fruit bowl. Once tickled, this pear will transform into a door handle, letting you enter the Hogwarts kitchens, and find yourself a snack to satisfy your hunger! 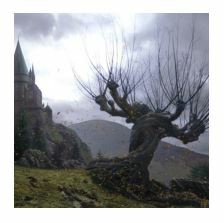 Moving onto the more mainstream ones, who can forget the home of S alazar Slytherin’s basilisk - the Chamber of Secrets? Found in the girls’ bathroom on the first floor, the entrance is opened by speaking to one of the taps in Parseltongue. This prompts all of the sinks to move, revealing the Chamber’s Entrance. First introduced to us in Prisoner of Azkaban, the passageway leading from the Whomping Willow to the Shrieking Shack was planted when Remus Lupin came to Hogwarts, enabling him to reach somewhere that he could transform into a werewolf safely. It is first discovered by the Golden trio when Sirius Black, in his animagus form, drags Ron inside, prompting Harry and Hermione to follow. 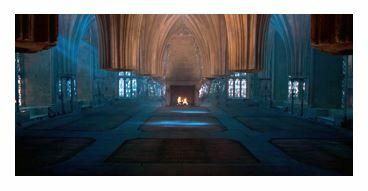 The Room of Requirement itself is a hidden space of Hogwarts, its doors appearing from a seemingly blank wall when a person is in great need of it. Not only that, but it also changes its appearance for each person, so that it’s “equipped for the seeker’s needs.” Inside the Room of Requirement there are a number of hidden secrets, such as the Vanishing Cabinet, utilised by Draco Malfoy in Half Blood Prince. Linked to another vanishing cabinet in Borgin and Burkes shop, Draco used the cabinet to bring Death Eaters into Hogwarts. The Room of Requirement also contains a tunnel to the Hog’s Head Inn in Hogsmeade, first shown to Harry in Deathly Hallows by Aberforth Dumbledore. Hidden behind a portrait of Ariana Dumbledore, the passage is used to bring Harry, Ron and Hermione back into the castle just before the Battle of Hogwarts. Finally, the whole Marauder’s Map contains almost all of Hogwarts’s secrets, discovered over the Marauders’ seven years at school. Not to mention Hogwarts itself - bewitched so that it’s completely hidden from muggles, it is perhaps the greatest hidden secret of them all. To read the whole article from Pottermore, click here.